Spray as needed on minor cuts, burns & abrasions to prevent infection & speed healing. 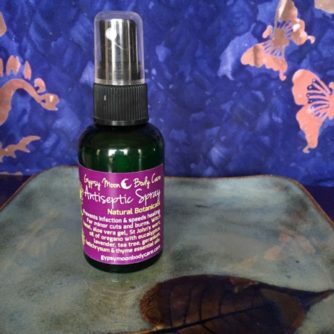 Contains essential oils with healing properties to relieve pain, reduce scarring & regenerate tissue. 2 oz. Spray as needed on minor cuts, burns & abrasions to prevent infection & speed healing. 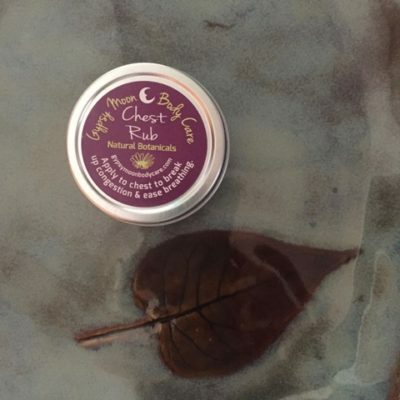 Contains essential oils with healing properties to relieve pain, reduce scarring & regenerate tissue. 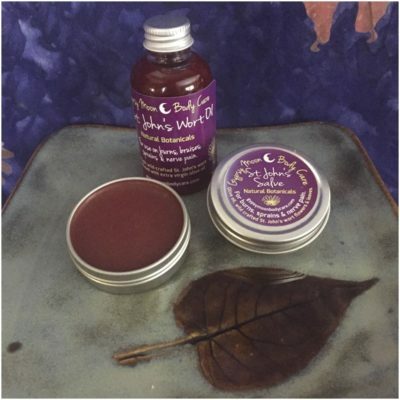 Ingredients: Witch hazel, aloe vera gel, essential oils of eucalyptus, tea tree, helichrysum, lavender & rose geranium. 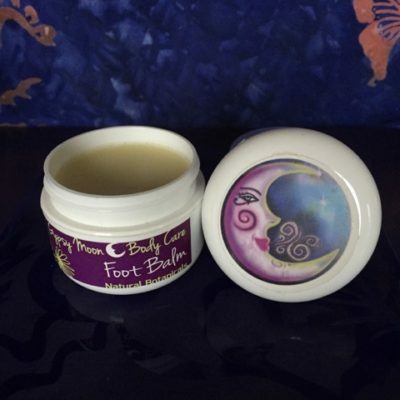 Soothing relief for tired, dry & cracked feet. Apply to feet, wrap them in a towel & put your feet up. Or use before bed & put on socks & retire. For relief from cold congestion. Apply under nose or rub on chest. 1 oz. Olive oil infused with St Johns wort, & comfrey, shea butter, menthol with rosemary, lavender, ginger, eucalyptus, marjoram essentials oils & beeswax. Cooling & warming, brings relief to sore muscles & joints. Can also be used as decongestant. 1 oz. 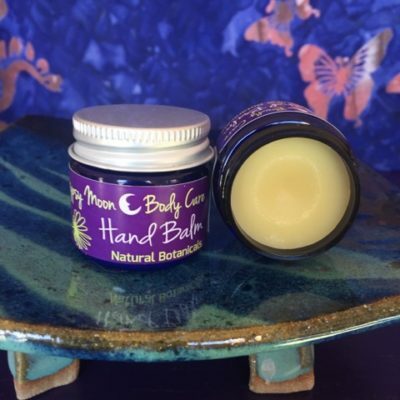 Helps heal hands that are dry & cracked from work or weather. Massage into hands often- especially at night. Great for gardeners, carpenters, drummers, knitters, etc. 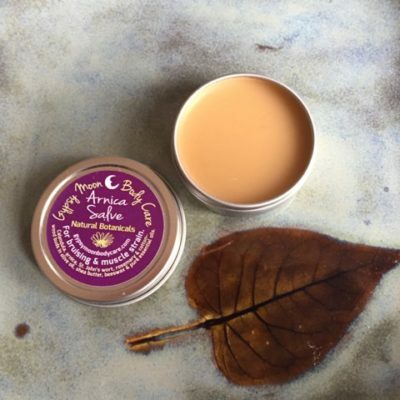 Balm is absorbed quickly into skin. 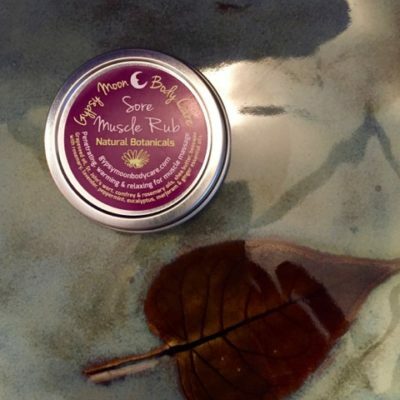 Relief & healing for bruises, deep muscle injury & sprains. 1 oz. Not for use on open cuts. 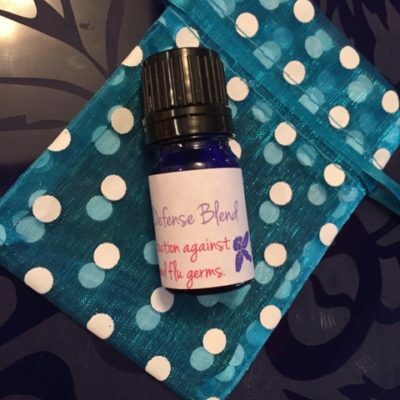 For protection against cold & flu germs. Use 1-2 drops applied topically to soles of feet, neck & behind ears. Shake well. Clove, Lemon, cinnamon bark, eucalyptus, rosemary & frankincense essential oils. 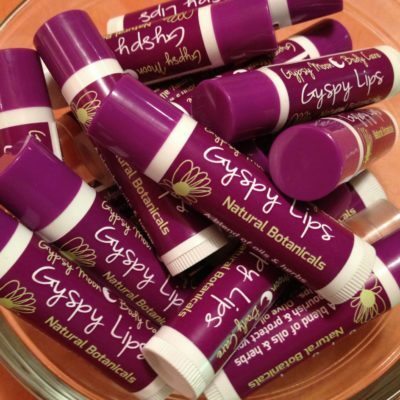 A blend of oils & herbs make this a lip balm to nourish & protect your lips from sun, wind & dry conditions. Homegrown, organic botanicals and wildcrafted herbs using pure essential oils – no artificial ingredients or fragrances. Non-local ingredients are organic and/or harvested sustainably.